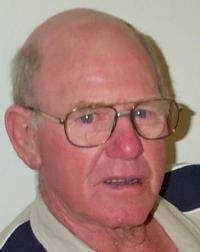 Daryl Raymond Edmonds was born on 12 June 1941 in the Central Eyre Peninsula Hospital, Wudinna, South Australia , son of Raymond Franklin Edmonds and Josephine Annie North. After getting married Daryl and Barbara lived in a house on the Brown's neighbour's property for a few years, until the Brown family retired to Port Lincoln. They then moved into the house that the Browns had been living in at "Poverty Corner". In September 2014, following an emergency colonoscopy, Daryl was diagnosed with colon cancer and had an operation on November 25th, at the Calvary Hospital, North Adelaide, South Australia , which succesfully removed all trace of cancer. Neither radiation nor chemotherapy were required. [S256] Unknown volume, Baptismal records, Christ the King Church, Minnipa, South Australia: Christ the King Church, Minnipa, South Australia, unknown repository. 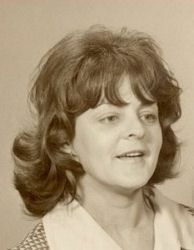 Barbara Mary Talbot was born on 11 December 1941 in Crystal Brook, South Australia , daughter of John Albert Charles Talbot and Mary Maud Case. 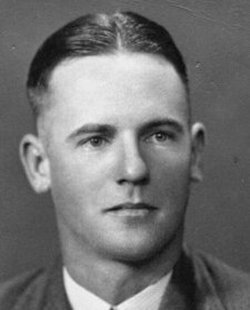 Raymond Franklin Edmonds was born on 12 April 1916 in Cowell, South Australia , son of Ernest Harry Edmonds and Mabel Jane Haines. He was educated at the Pinbong School, receiving his Qualifying Certificate on 14 December 1928. This was presented to students for successfully completing Primary School. In September 2004 he was diagnosed with macular degeneration. His eyesight had been failing for a while and he handed in his driving licence. In February 2007 he was flown from Port Lincoln to Adelaide by Air Ambulance (Flying Doctor) for treatment of a stone in the bladder. Hosptalised in St. Andrews Hospital, South Terrace, Adelaide, for 5 days then flown back to Port Lincoln Hospital for a few days, until discharged. 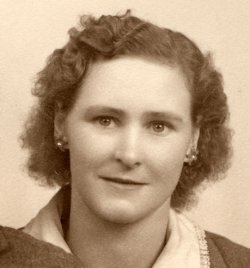 Josephine Annie North was born on 18 May 1922 in Elliston, South Australia , daughter of George Henry Burnard North and Everline Josephine Cook. Dear Aunt Beatrice.—I am sorry I have not written to you before. Did you think that I had forgotten about you? I passed in my Q.C. last year with 487 marks. I won a nice rose howl at the Wudinna School sports last November when twelve schools were represented. I won everything that I entered for, but before the sports were over I sprained my ankle and had to go to the hospital and have my foot in ice for about two hours. I think I am going to see the test cricket in Adelaide next Monday. I wish you the best of luck in the new year. From your loving neice, JOSEPHINE NORTH. [S255] "Unknown short article title."